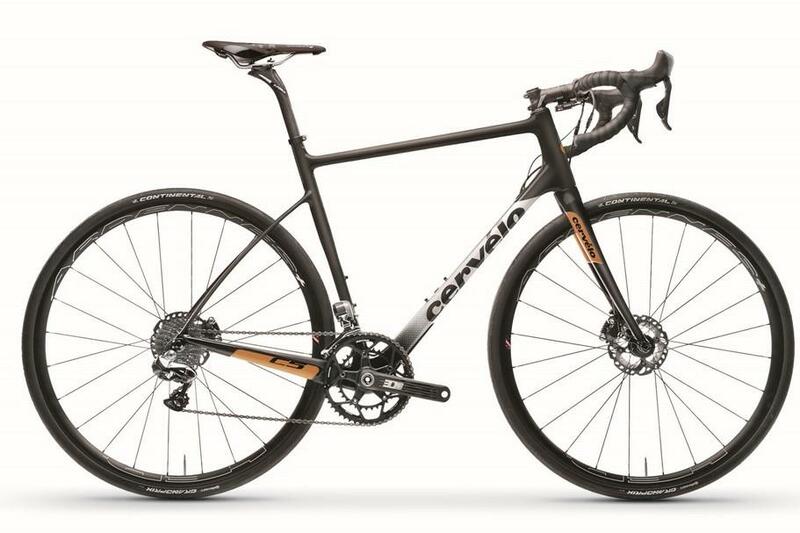 Last week we announced the arrival of Cervélo Cycles to the Bespoke family. We couldn't be happier at adding one of the most iconic bike brands of the last two decades to our stable, and we thought this would be a good opportunity look at the history of the brand and its current range of bikes. "We build the fastest and lightest pro bikes for road, tri and track," is the bold claim by the company, and there's few that would argue with that. They've won more road races and Ironman events over the years than we can care to remember, but all that success comes back to a founding principle of applying science to bike design. It's for that reason they've been pioneers in an often conservative industry, setting trends where others have rushed to imitate. Cervélo has long been regarded as an innovator, casting aside convention in pursuit of superior product design and materials development, all with the desire to win provide the best bikes for winning races. They've sponsored pro teams and even had their own team, and their bikes have won more triathlon and Ironman events than most other brands. The story starts in 1995. Phil White and Gerard Vroomen showed their first product, the bold Barrachi, a full carbon time trial frame with a beam saddle design and integrated handlebars. "The idea [behind the Barrachi] was to make riders faster and not be constrained by current thinking," Phil White explains. "So we used an evidence-based scientific approach. The Baracchi is a two-man time trial, so our goal was to make the bike as fast as two people. That's where the name came from. We didn't approach it from the standpoint of engineering a better bike, but of how you would make the rider faster." The introduction of strict bicycle design rules by the UCI would confine this bike to the history books, but it had paved the way for a company intent on pushing the envelope and thinking outside the box. This was a company founded and run by engineers. The product came first, not the marketing plan, though they're not immune to the odd buzzword. A year later would see the launch of the Eyre road bike and more critically the P2 time trial bike, a bike which would soon net many race victories and ensure the company's future success. The rest, as they say, is history. The company's interest in aerodynamics and the utilisation of computational fluid dynamics and wind-tunnel testing to achieve its goals was a technology in its infancy but Cervélo's grasp of it would set the tone for the future direction of all its bikes. In 2002 came arguably one of Cervélo's most pivotal bike designs, the Soloist Team. 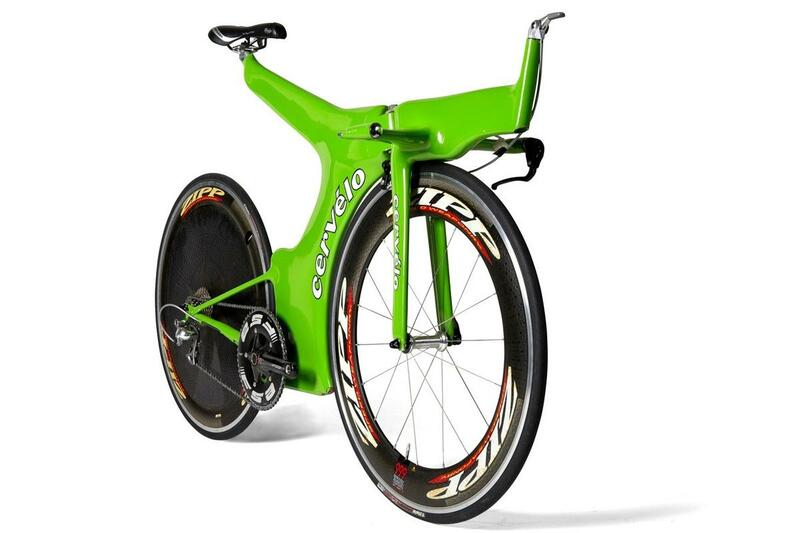 Here was the birth of the aero road bike genre, a road bike embracing the aero shaped frame of a time trial rig. It would go onto define an entire category. While the Soloist was originally made from aluminium, a carbon version quickly followed and since then all Cervélos have been made from carbon. Cervélo also showed an astute understanding of carbon fibre and how best to utilise the black plastic and revolutionised tube profiles with the development of its iconic rounded square tubes dubbed Squoval, and in the Californian manufactured Rca produced, at the time, one of the lightest production frames the cycling world had ever seen. In road racing the company showed it wasn't daunted by the big guns dominating the professional peloton and produced ground-breaking bikes that win go on to win the biggest, hardest and fastest road races. From the cobbles of Paris-Roubaix to the mountains of the Tour de France, its road bikes were raced to the top step of the podium time and time again. The company's association with top flight pro racing began with sponsorship of Team CSC, and in a partnership that lasted for six years, there were countless victories too numerous to list. Carlos Sastre won the Tour de France, both Stuart O'Grady and Fabian Cancellara won Paris-Roubaix, wins that help to put Cervélo on the map. When this winning partnership reached its conclusion, Cervélo stepped up and fielded its own team with the introduction of the Cervélo TestTeam. An exciting team that promoted fan interaction - its Beyond the Barrier video series was a must-watch, you can see the first episode here - the goal wasn't just about winning races, but of developing products for Cervélo and sponsorship partners. The Castelli Gabba was born on the Test Team. But it won lots of races. Lots of them. Thor Hushovd the 2009 Tour de France green jersey and world championships, and on the women's team (yes, they not only produced a world-class men's pro team but a women's team as well), Emma Pooley won the UCI Women's Timetrial in 2010. The Test Team came to a close in 2011 when it sponsored the Slipstream team along with Garmin for four years. 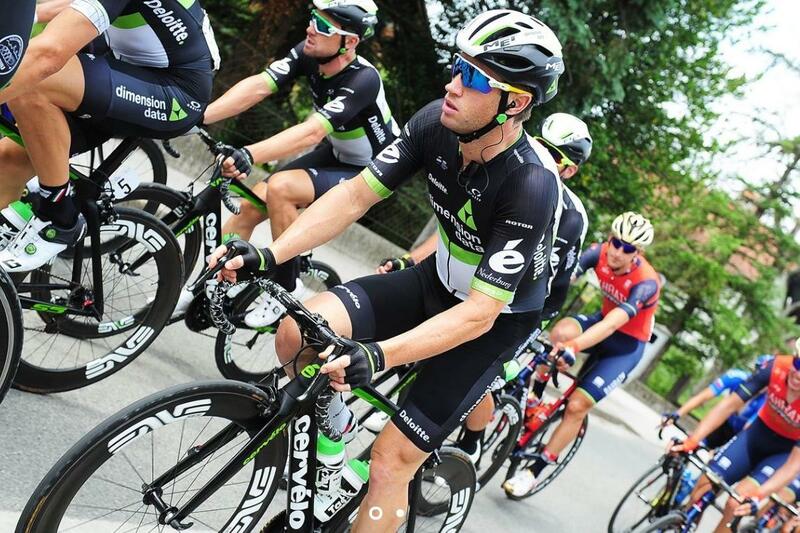 Then, in 2015, Cervélo got together with MTN-Qhubeka which became Dimension-Data last year and counts Mark Cavendish as one of its riders. "From the beginning, Cervélo disrupted the bike industry," Phil White adds. "We couldn't sell our aero bikes when we first brought them out - they looked too different. We had to prove to riders that they were faster, and tell them that the sport is a contest of speed, not a fashion show. When we started our own team (the Cervélo TestTeam) it was in part to make the riders get on those bikes, and see that they really were faster. You see those shapes all over the industry now. Thinking outside the box started from the beginning with this company." 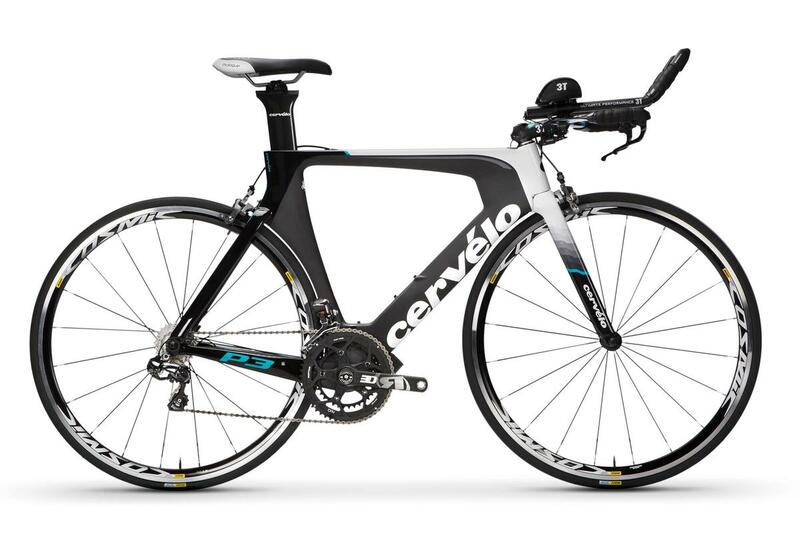 Today, the Cervélo range is split between the P series of triathlon and time trial bikes, the R series of lightweight all-round bikes, the S series is all about aerodynamics, the newest C series is the company's foray into endurance, and the T series is for track racing. Getting your head around the Cervélo range is relatively easy, it simply does not produce as many models as most big bike brands with a very narrow focus on racing and performance steering it clear of many segments. The R series is the classic, all-round lightweight and stiff road bike, the one that does everything well, at home in the mountains or a road race. As with the rest of the categories, the bigger number denotes a higher ranking model. The flagship bike in this race is the Rca, one of the lightest production bikes in the world and a culmination of the company's extensive expertise. It's also entirely made at the company's special California design facility where new carbon layups and product designs are first tested. The Rca is now in its second-generation and its some 35g lighter than the original, and that only weighed 667g so it was hardly in need of shedding weight! 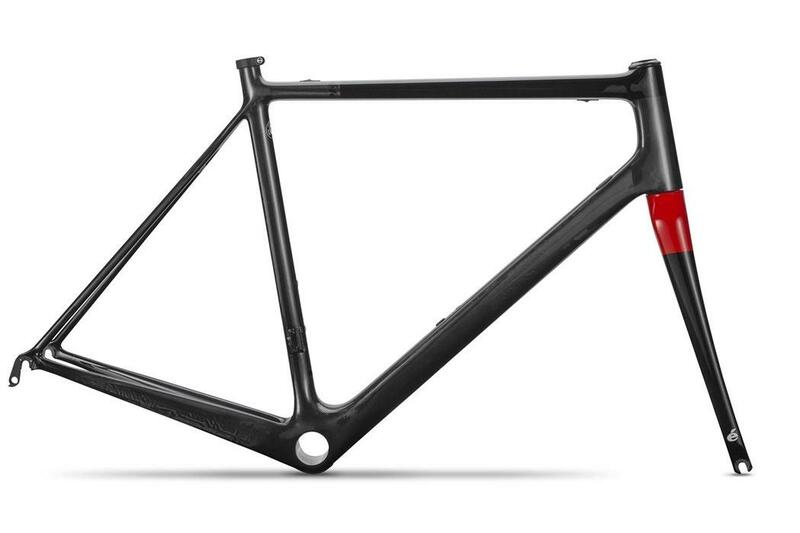 The R5 is a frame that draws heavily on the pioneering development of the Rca but in a slightly more affordable package and less limited production runs. It has been updated for 2018 with a revised frame that, for the first time is available with a choice or rim or disc brakes. Whichever version you opt for, you're looking at a frame that is stiffer and more aerodynamic than the previous R5, with a new aero profiled downtube and integrated seat clamp. There's also been a revision to the geometry with the stack height reduced at the behest of the professionals. And as is popular with the latest generation race bikes, the R5 now takes up to 28mm tyres for increased ride smoothness. With the changes to the R5 making it racier, the new and updated R3 is essentially all that the old R5 was wrapped up in new paint and decals. To that end, the new R3 has the same stiffness levels as the old R5 but it's a bit lighter, while the geometry is not as aggressive. Like the R5, the new R3 is also available with rim or disc brakes. The R3 is one of the most successful bikes in the company's range and enjoyed huge popularity the likes of Fabian Cancellara was dominating the pave aboard a slightly modified R3. "Square shapes resist bending the best, while round shapes are tops when it comes to torsion. Since different frame tubes see a variable mix of bending and torsional loads, a careful combination of these shapes can offer the best of both worlds. Enter Squoval, which combines the attributes of a square and an oval to achieve an ideal balance of stiffness, weight and aerodynamics," explains Cervélo. As well as that, Cervélo R series bikes were characterised by super skinny seatstays that not only kept the weight down but also contributed to the seated comfort, allowing the tubes to bend and absorb vibrations. Cervélo also developed its own bottom bracket standard, BBRight, an asymmetric design that extended the non-drive-side by 11mm, expanding it to 79mm, to increase frame stiffness by allowing for an enlarged chainstay. Of course, all frames featured internal cable routing with future-proofed routing solutions and reduced friction bottom bracket guides. Cervélo can claim to have kicked off the whole aero road bike category with the launch of the Soloist Team way back in 2002. From that bike grew an entire range of aero road bikes (and many imitations) over the years that would push the boundaries of aero understanding. The S5 is its most advanced aero road bike to date and comes with a huge stack of aero claims as deep as the aero tube profiles. Now in its second incarnation, the S5 looks every bit the aero road bike, with deep profiled main tubes and a staggering 21.3 watt saving at 40kph compared to the original, largely thanks to an all-new aero handlebar. 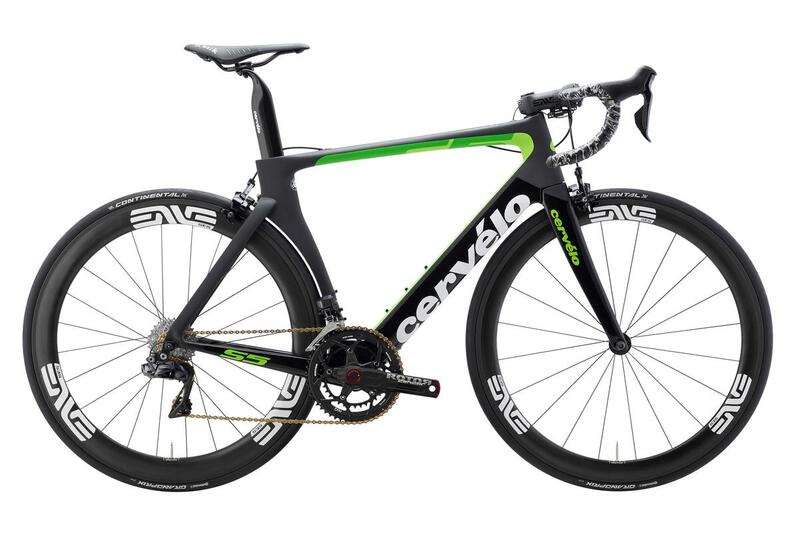 This is the bike you see Mark Cavendish racing, and it's no surprise he picks the fastest bike the company makes. The S3 is the S5's little brother and trades in some outright aero performance for all-round riding performance and is now available with disc brakes alongside the existing rim brake model. Cervélo has been slow to the disc brake market but it's making up for it now, and the S3 Disc will surely go up against the likes of the Specialized Venge ViAS Disc and other key rivals. There are benefits to disc brakes: Cervélo claims that it has been able to fully redesign the frame and make the new bike 2 watts faster, 40g lighter and 9% stiffer than the rim brake incarnation. 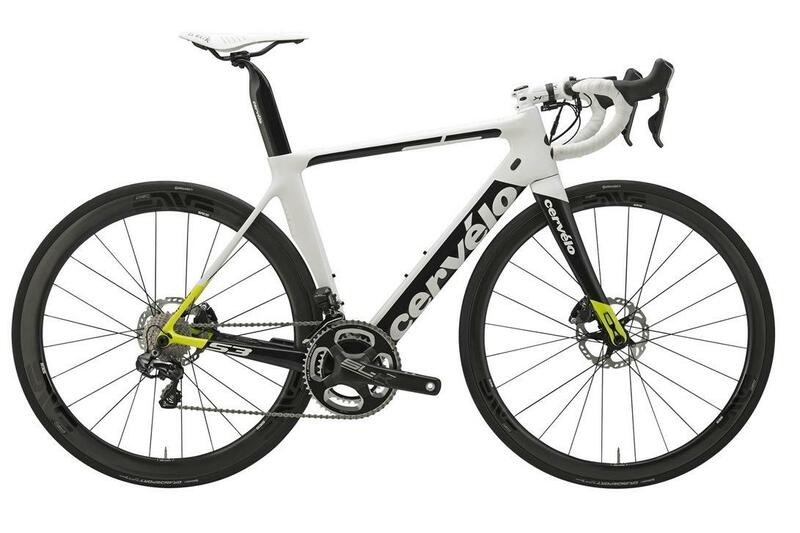 It's clear Cervélo's heart has always been in racing and winning, but in 2015 it recognised the popularity of so-called endurance bikes and released the C series, with the C3 (cheaper) and C5 (expensive) bikes. The C series is built around a more relaxed geometry with a higher front-end for long-distance comfort, space for wide tyres and disc brakes and thru-axles. 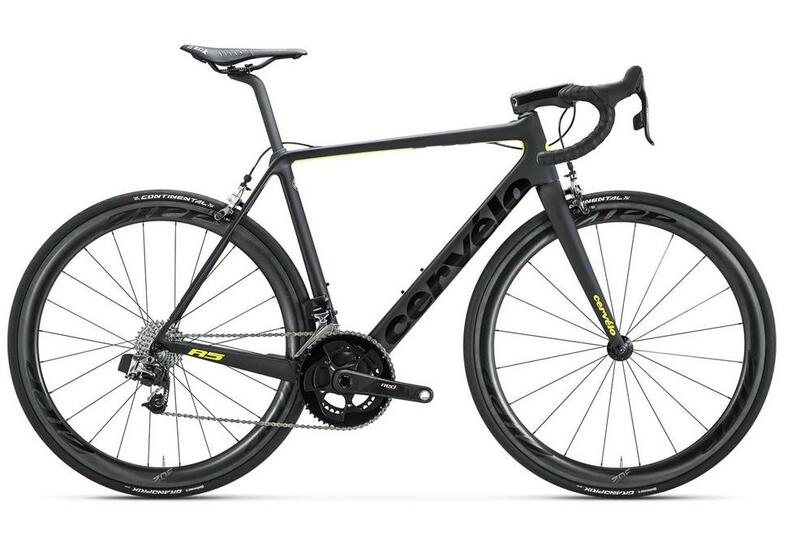 Cervélo didn't let up on the performance though, and the carbon frame with alloy hardware is a claimed 840g - that's lighter than some top-end carbon race bikes. And this one has mudguard mounts, the first Cervélo ever to accommodate mudguards. 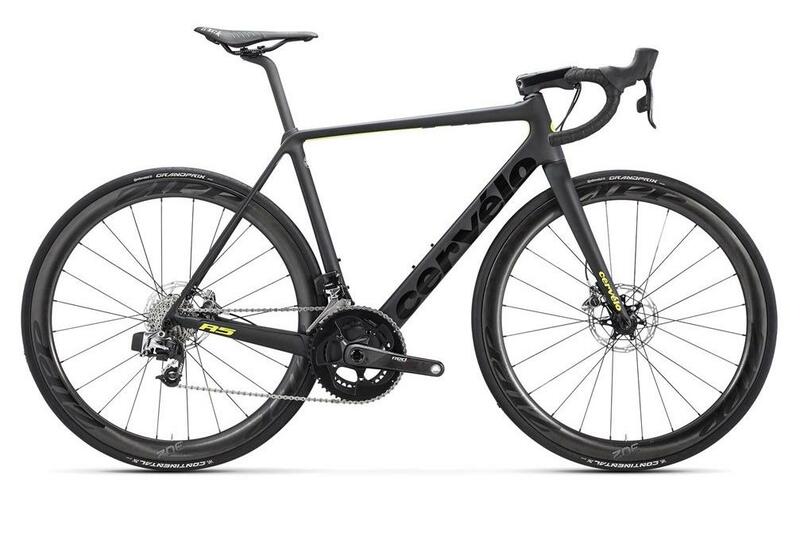 The C Series owes its development to the solid engineering from the R Series, such as the super skinny seatstays and Squoval profile tubes and smart cable routing. 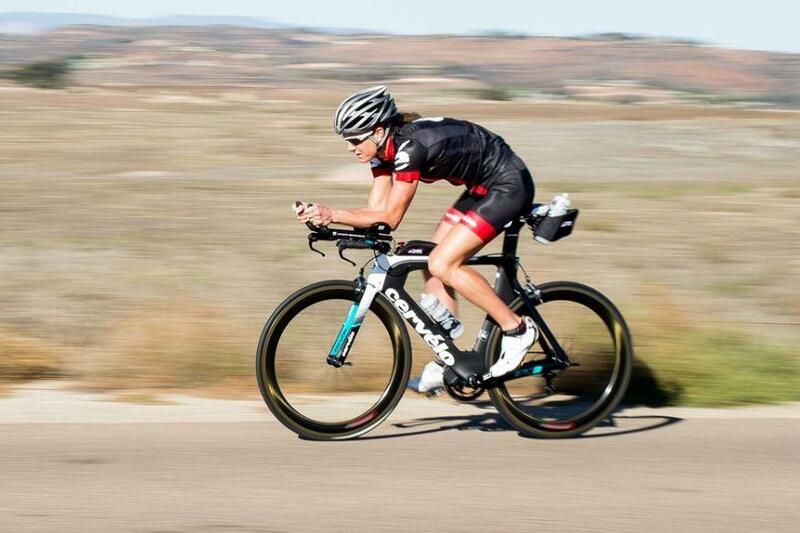 The P series is the company's triathlon and Ironman bikes and covers the P2, P3, P5 and P5x. 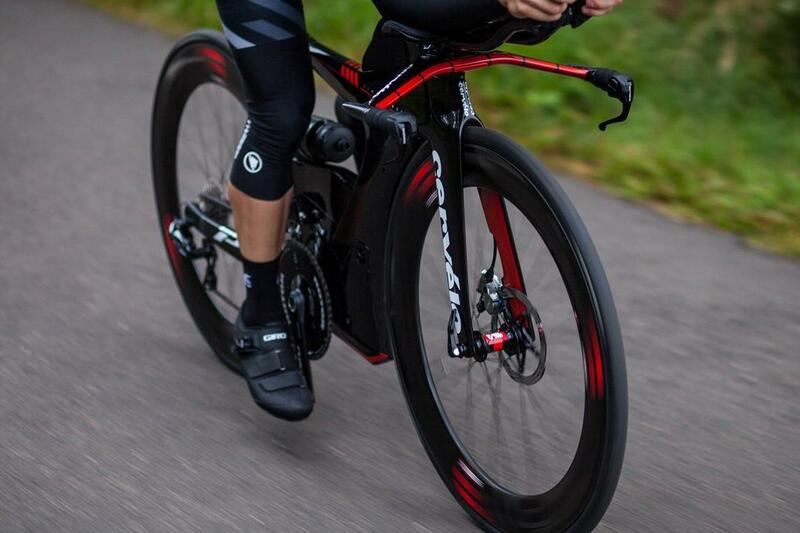 Showing the radical thinking that Cervélo is capable of, the striking P5x moved time trial and triathlon bikes in a direction we had never seen before. Not since the Lotus 108 has there been such a turning point in bike development. 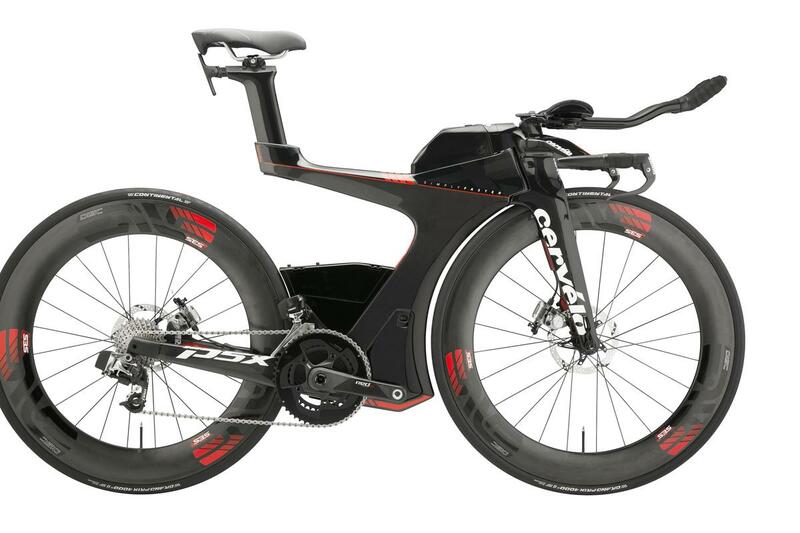 Completely ignoring the UCI rulebook, this is a triathlon-specific bike with disc brakes and a cutaway frame design that Cervélo claims makes it the ultimate triathlon bike and which it tested with 180 hours of wind tunnel time. Hard to argue with a bike that looks as dramatic as this. The Cervélo P5 has long been the company's flagship time trial bike since it first launched in 2012 and replaced the P4 until the groundbreaking P5X above came along that is. The P5 was novel in that it featured specially designed Magura hydraulic disc brakes, unusual on any bike let alone a time trial bike, which not only provided superior braking to most of the rivals but also helped Cervélo to produce one of, if not the most, aerodynamic time trial bikes of its generation. Hydraulic hoses don't mind how awkwardly they are routed, and this allowed Cervélo to really clean up the frame and reduce cluttered routing, and the brakes are designed to be aerodynamic - the rear brake is hidden under a casing to hide it from the airflow. Despite the advances made by the range-topping P5, the older P3 is still a hugely popular model in the Canadian company's range. It has a huge legacy, taking over from the original P2 and winning more races than most tri and time trial bikes, there's a lot to love. It also has a lot in common with the P5 and much of the frame design is the same, the P3 simply saves money by dropping some of the integration, such as the hydraulic brands and cockpit. The P3 has grown a longer head tube during its life, to reduce the stack of spacers that Cervélo noticed many consumers were adding to get the desired fit, but the swap to a conventional base bar and extensions permits a wide range of adjustment. A Pro level bike demands a perfect bike fit. Come and see us at Bespoke Cycling for your new Cérvelo. The high-end aluminium option: Does aluminium still have a place in a market dominated by carbon? The market is dominated by carbon fibre but is there still a case for choosing an aluminium frame?